For over 10 years V3 has been providing off road enthusiasts in the Louisville area with the highest quality Jeep and truck 4×4 services. We look forward to working with you. Consider us your personal 4X4 and off-road concierge. V3 Jeep and Truck will always provide reliable solutions for your vehicle. If we don’t have the item or product in our shop we’ll offer other options. It’s that personal service that allows us to receive so many unsolicited positive reviews. See for yourself, V3 is serious about meeting expectations and our customer testimonials affirm that. I've used V3 for a couple installations I didn't feel like dealing with due to complexity or just laziness. From my experience they do an exceptional job, a bit expensive but great quality. I use my Jeep off road and whether it be me or a vendor I need it done correctly and not just for cosmetics. I think it's important to note I purchased all parts from other vendors. This didn't seem to be a concern for V3.I had a Zeon 10S installed on a recon bumper. Pretty straightforward install. The only complaint I could say I had was they didn't tension the line and didn't tell me, I had to ask the question. Not a huge deal but thankfully I asked before using the winch.The second install was the Raxiom Backup Camera kit. They fully disclosed they haven't installed this particular camera and asked if I could swing by so they could see the parts. Upon reviewing the parts they felt comfortable moving forward. During the install they encountered an issue as the camera mount wasn't compatible with the recon wheels as the spoke and bolt pattern caused the spoke to cover where the camera should go. One thing I did really appreciate is they notified me immediately that we had an issue and proposed several options to make it work. Overall I've had a positive experience with V3 and do recommend them for your Jeep needs. As mentioned I do feel they're expensive but you do receive quality and a knowledgeable team. By far the best shop ive ever been too. Been modifying cars for 7 years and this is the most down to earth and helpful shop. Been seeing reviews saying theyre expensive but theyre really not. They use the best part brands which cost a little more than other brands but, build it right the first time and you wont have to again. Highly recommend this shop. Was looking for OEM bolts for a Jeep over 20 years old. Mopar discontinued the bolts so I call V3 and talk to Derek. He calls me back and tells me they don't have them but he found what I needed at another company. He gave me their phone #, address, and a name of the salesman who is waiting for me to call. I couldn't believe how much V3 done to help me out and never made a dollar for it. It's nice to know there still some good people you can depend on. Thanks Derek and V3 Jeep Shop. I just went in there today with my 97 rust on the frame it's very repairable I've done research and a lot of it in the past month.. first thing I hear is its not that bad from the repair guy. Then derek stepped in and said you have a major rust prob haha. And if i fix that 2foot section the rest will rust out in no time... Looking around i notice all these high dollar modded jeeps mines 20years old so hey I get it not worth your time just be real.. if the owner reads this sorry i didn't get to meet you nice mustangs! I just went in there today with my 97 rust on the frame it's very repairable I've done research and a lot of it in the past month.. first thing I hear is its not that bad from the repair guy. Then derek stepped in and said you have a major rust prob haha. And if i fix that 2foot section the rest will rust out in no time... Looking around i notice all these high dollar modded jeeps mines 20years old so hey I get it not worth your time just be real.. if the owner reads this sorry i didn't get to meet you nice mustangs! Find a shop that has love for jeeps and is more then half the price as y'all im glad my jeep ain't a turd like Derek stated..
My mother and I went in to get an estimate for a windshield and a back gate on my Jeep. We waited for a long time even though it wasn't busy. It seemed very unorganized and chaotic. Plus, we got the estimate, but the cost could not be pinpointed, because of business. This business is more interested in putting accessories on a Jeep. The price was way too high. We took our business elsewhere and they gave a reasonable price and was able to fit us in within a time frame instead of making an excuse that we're "booked" up. This place is the best! Prices are very good, parts are great, and staff is knowledgeable. They were awesome dealing with my 4 year old son, and me asking millions of questions. I ended up with the perfect part at a fraction of what I thought I would spend. They wanted $4000 to fix my jeeps frame. Yea it's bad but $4000 is an extreme number to weld a brace on. Listen up…the deal is here at V3 Jeep and Truck. We’ll match those other guys prices, even the big daddy Amazon. Being a local off-road shop, you gotta do what you gotta do. We are proud to offer this concession but, let’s take it even further. V3 Jeep™ and Truck Outfitters offers installation-only services, too! Don’t want to hassle with the DIY? Bring it to us, we don’t care where you bought it from. Times have changed and we’re not going to restrict our installs to products that are only purchased here. 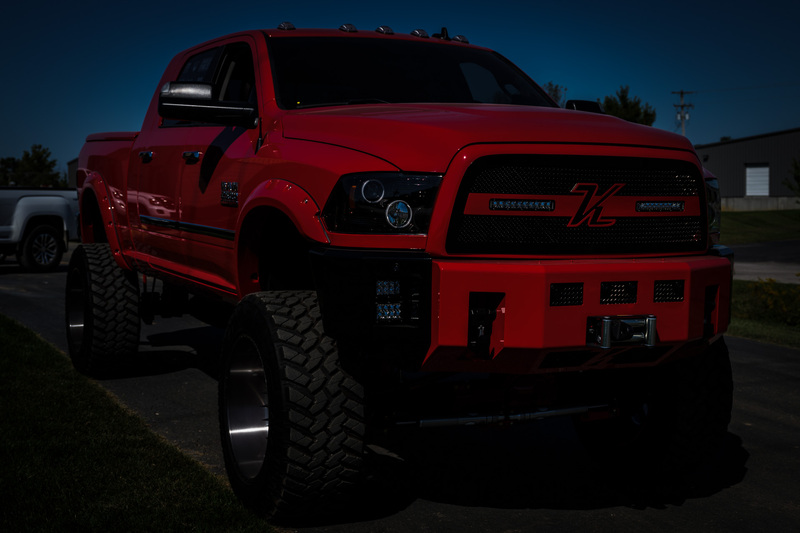 Our main concern is helping you customize your vehicle, we love this stuff. Just completed our expansion for 2018. Offering even Faster turn around on all services rendered and higher capacity. Louisville’s best rated 4×4 shop has added over 6,000 square feet to house more skilled technicians, more lifts, and offer in and out efficiency! V3 Jeep and truck outfitters is the legitimate, local, full service 4×4 off-road installation, maintenance and repair authority. End of story. 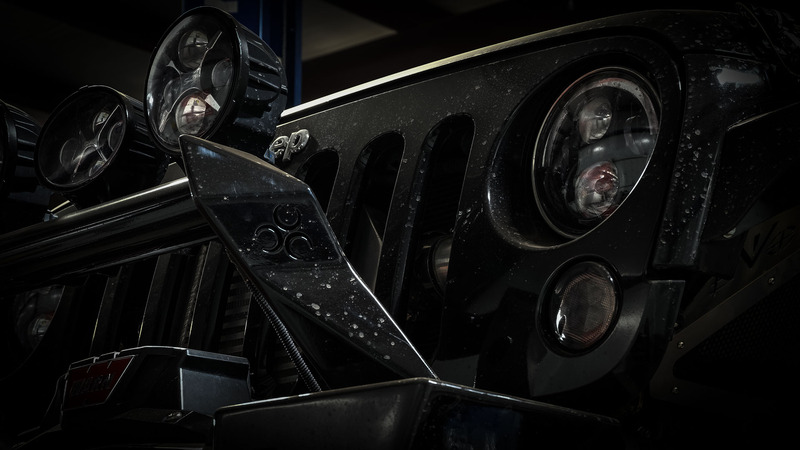 We install everything we sell obviously but, only at V3 Jeep and Truck Outfitters will you find a shop that offers custom installation of products you provide. TRUSTED INSTALLATION BY OUR EXPERT MECHANICS. Run larger tires and bulldoze through the trails WITH EASE. NOTHING CAN BEAT THE PRESENCE AND UTILITY OF A SOLID SUSPENSION LIFT SYSTEM. V3 4X4 SHOP IS YOUR BEST RESOURCE FOR OUTFITTING YOUR OFF ROAD VEHICLE WITH TIRES AND WHEELS. WE HAVE THE EXCLUSIVE HUNTER HAWK EYE RACK FOR PRECISE MOUNTING, BALANCING, AND ALIGNMENT FOR TIRES UP TO 42″.